For letter size hanging file folders. 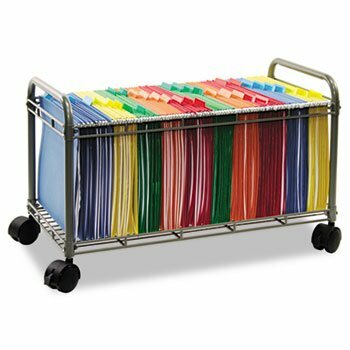 Sized to roll under File Carts (VertiflexTM SmartworxTM File Cart , sold separately). Durable steel and wire construction. Four twin-wheel casters, two locking. Color: Matte Gray; Caster/Glide/Wheel: Four Twin-Wheel Casters (2 Locking). If you have any questions about this product by VertiflexTM, contact us by completing and submitting the form below. If you are looking for a specif part number, please include it with your message.